Choreographies are global descriptions of interactions among concurrent components, most notably used in the settings of verification and synthesis of correct-by-construction software. They require a top-down approach: programmers first write choreographies, and then use them to verify or synthesize their programs. However, most software does not come with choreographies yet, which prevents their application. To attack this problem, previous work investigated choreography extraction, which automatically constructs a choreography that describes the behavior of a given set of programs or protocol specifications. 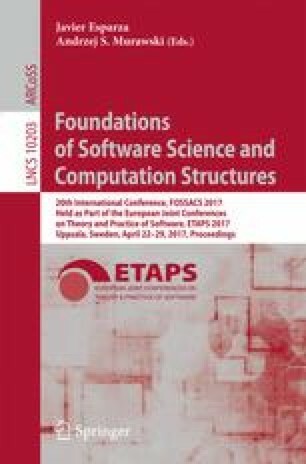 We propose a new extraction methodology that improves on the state of the art: we can deal with programs that are equipped with state and internal computation; time complexity is dramatically better; and we capture programs that work by exploiting asynchronous communication. Montesi was supported by CRC (Choreographies for Reliable and efficient Communication software), grant DFF–4005-00304 from the Danish Council for Independent Research. Cruz-Filipe and Larsen were supported in part by the Danish Council for Independent Research, Natural Sciences, grant DFF-1323-00247.